The Grenada Amateur Swimming Association (GASA) named the 12-member team journeying to Trinidad and Tobago on Tuesday to compete in the 2017 CCCAN (Central American and Caribbean Amateur Swimming Confederation) Swim Championships from 28 June to 2 July. Grenada will compete against teams from over 28 countries across Central America and the Caribbean. Team members include Jenebi Benoit, Anaika Charles, Oreoluwa Cherebin, Ariann Clouden, Zackary Gresham, Parshawn Haynes, Gabrielle Hyson, Kimberly Ince, Mia Neckles, Corey Ollivierre, Kerry Ollivierre and Meeka Ollivierre. Jadon Hyson represented Grenada in the Open Water Competition in Tobago on 24-25 June. Peron Johnson President of GASA, expressed that she expects the Grenada team will represent the country well. She highlighted the accomplishments of the team during the 2013 – 2016 period in OECS swimming, where Grenada cumulatively won 185 Gold medals, 153 Silver and 122 Bronze, taking home the OECS Champion title in 2013, 2015, and 2016. In 2014 the team was the runner up. 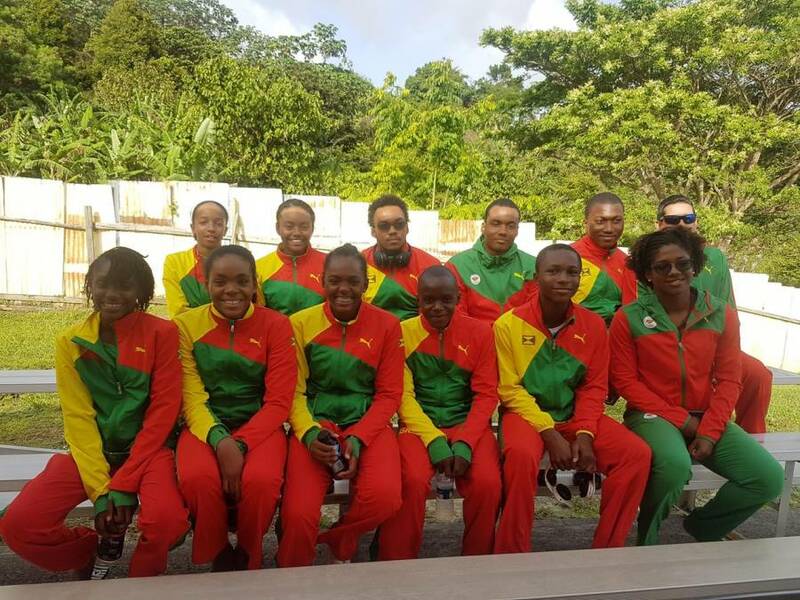 In CARITA/CCCAN and CISC for the same period, Grenada obtained 6 Gold, 7 Silver and 14 Bronze. “Despite the dilapidated state of the lone available training pool, our swimmers continue to excel.” Johnson also highlighted lands have been allocated for the construction of an Aquatic Centre, coming out of a very positive meeting with Permanent Secretary in the Ministry of Sports. The Ministry and GASA are now working assiduously to convey the lands to GASA. This however is just the first phase, as funds need to be sourced for the construction of the facility. In addition to CCCAN Swim Championships, Oreoluwa Cherebin, Corey Ollivierre and Kerry Ollivierre will also represent Grenada at the FINA World Championships in Budapest, Hungry in July. Coach Gerson Fernandez Escobar and Nigel Ollivierre, team official will accompany the team. The team looks forward to achieving their personal best as they compete among the best swimmers in the world at these games. Also in July, Delron Felix will represent Grenada in the Youth Commonwealth Games, and GASA is looking forward to a very strong performance from him in these games. The Goodwill Games in Guyana is slated for August with a team of over 30 swimmers listed to participate. This competition is seen as preparation for OECS in November 2017.